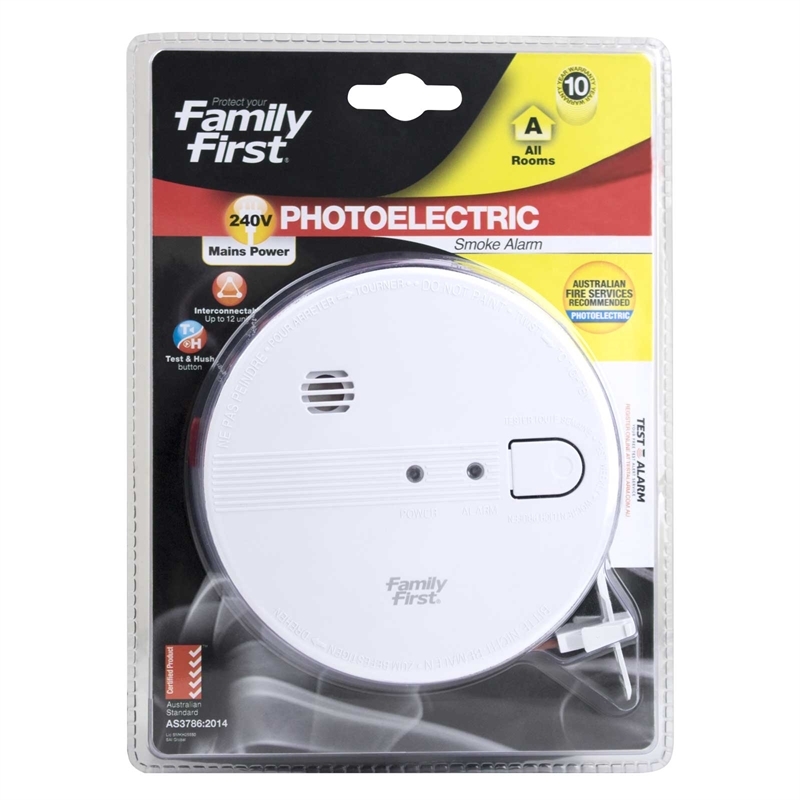 The Family First Photoelectric Smoke Alarm 240V Interconnectable is a mains-powered smoke detector with 9V battery back-up for continued protection during a power failure, and is suitable for everywhere in your home including bedrooms, living rooms, dining areas, hallways, stairwells and the garage. Able to operate independently or interconnectable up to 12 units for superior alarm notification throughout your home – if smoke is detected at the other end of the house, you will hear it loud and clear at your end (if connected). The alarm’s dual ‘test’ and ‘hush’ button allows you to be confident it is working through regular recommended testing, and to silence false alarms when needed. 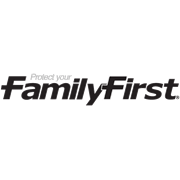 Tested to Australian Standard AS3786-2014, it offers you peace of mind along with a 10-year warranty. As this unit is 240V hard-wired, it must be installed by a certificated electrician. Being a photoelectric smoke alarm type – the preferred type by all fire authorities in Australia – this is superior technology that will provide you with better protection compared to older ionisation types. More sensitive to larger smoke particles, which tend to be produced in greater amounts by smouldering fires that may smoulder for hours before bursting into flames, you can be notified sooner of incidents and benefit from less false alarms from cooking. Plus with its ‘hush’ feature, there is no reason to deactivate this smoke detector and put property and lives at risk. Mains-powered (240V) smoke alarm with battery back-up (9V). Operates independently or interconnectable up to 12 units. Superior photoelectric type for better fire detection. Loud 85 decibel horn to ensure alarms are heard, with hush button to silence false alarms.